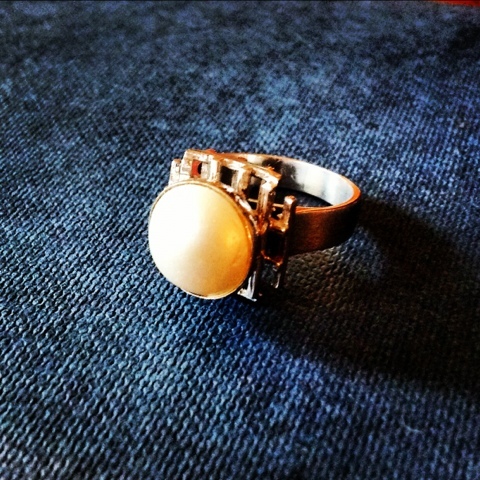 My Grandma's ring. Pearl set in white gold. I think it was custom made; she loved unique jewellery.